Word clouds aren’t new, but there’s a new online app for creating them that is worth checking out. Tagxedo allows you to create your clouds using some versatile tools for shaping the appearance of the cloud, which you can then easily save as a .jpg or .png. This comes to me via a post on the LoveStats blog, where Annie Pettit has posted a couple of her own creations – one based on the text of her resume, and one on all the words in her blog. My interest in word clouds is related to visualization of data – in this context, conveying the gist of a mass of text by giving prominence to the most common significant words. For example, last year I used Wordles to visualize tens of thousands of words entered as free-text comments in a survey of alumni. It’s no substitute for real analysis, but it does make a cool presentation slide! NOTE: Check in tomorrow for Jason Boley’s amazing work with NodeXL for visualizing prospect connections in your data. Earlier this year we conducted an extensive survey of alumni, made up mostly of scale statements but including a few free-text comment fields as well. Respondents typed in nearly 80,000 words in comments – that’s slightly longer than the first Harry Potter book! Somebody has to read all this stuff (not me!). But what can we do with it in the meantime? Why not play with it in Wordle? You can also enter the URL of any blog or feed into Wordle, and it will generate a word cloud from that. 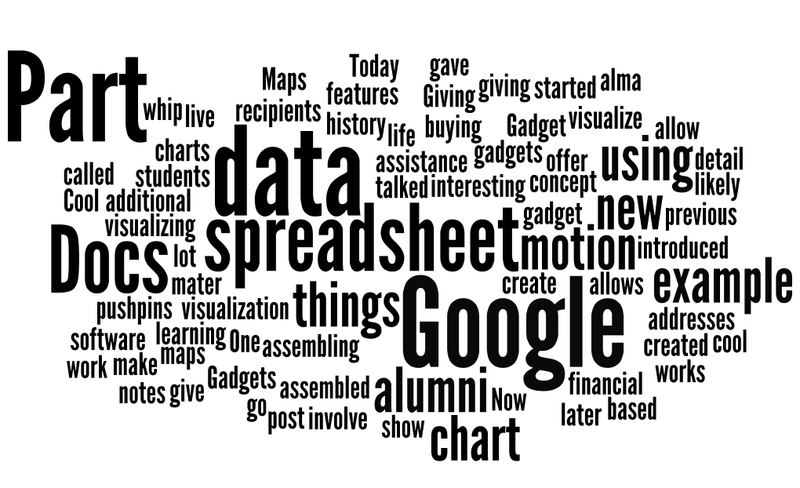 Here’s what a Wordle of this blog looks like (so far). Word cloud for CoolData blog (up to 9 Dec 2009). Useful or just a toy? 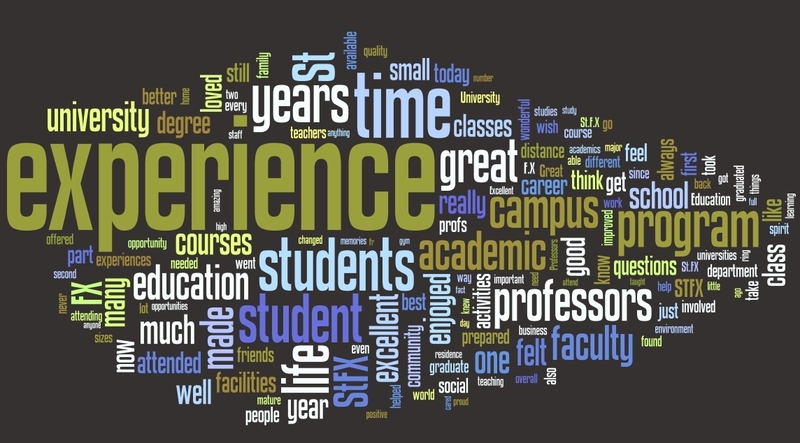 I did use some of these word clouds in a presentation of the alumni survey results, and the response told me it was worth it. It’s a cool thing, and people like cool things. I also see Wordle creations in newspapers – I think the first example I ever saw was a comparison of campaign speeches made by Barack Obama and John McCain. What do you use word clouds for?